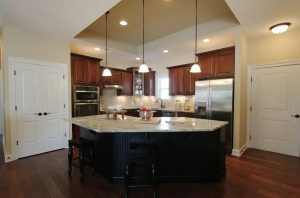 Our Thoughtfully Designed Kitchens are BIG Winners! 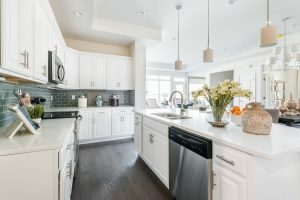 The kitchen is generally the most used room in a home, so it should be a space you enjoy spending time. The place where you enjoy meals, share laughs, and entertain your family and friends, your kitchen is truly the heart of the home. 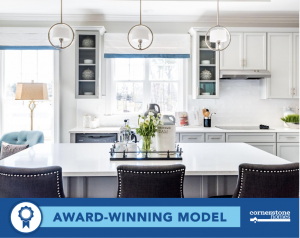 In an award-winning Cornerstone Homes kitchen, you’ll be swooning over the functional yet stylish designs. Award Winning!!! 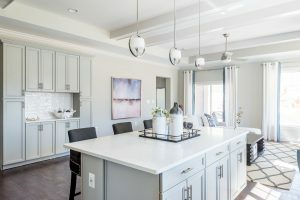 We are proud to share that the stunning kitchen in our Washington floor plan in Barley Woods was recognized at the 2018 Fredericksburg Area Builders Association Parade of Homes! Scored on functional design, size, storage space (i.e. cabinets, drawers, pantry, etc. 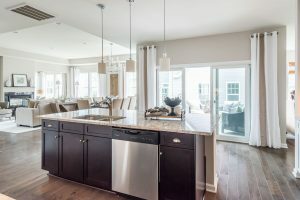 ), a mix of natural and artificial lighting, and craftsmanship/attention to details, The Washington received the Best Active Adult Kitchen Award. Carrying in groceries is easier than ever. The zero threshold entry from your large two-car garage, one of our timely and lasting features, is just a few steps to the kitchen and your pantry. 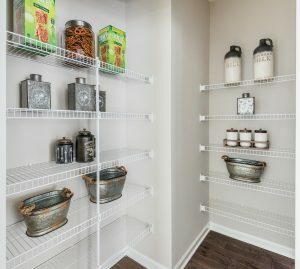 With ample storage in your pantry and plenty of cabinets, you can stock up for the winter or an upcoming party. An abundance of natural light and recessed LED lighting will make your meals shine.